Does your kitchen need renovating? Is your kitchen looking very old and messy looking? It sounds as though it could really do with some love and affection. If you agree, book a date with Handyman Handy name for brand new kitchen units. Your kitchen units can look great and modern again if you hire us. And with our wonderful and hard working handymen who will install them for you, you don’t have to worry at all. However you would like your kitchen to look, we will do it for you. Sometimes, you don’t always have time to spend hours on the web searching for decent companies to hire. This can take a lot of time and can be pretty draining. You can save time if you book with us now for any work on your property. 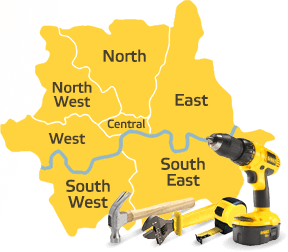 Just call 020 8434 7477 and we can help you. Do you dream of a beautiful, new, modern kitchen? We can make your dreams come true if you use our amazing kitchen fitting and installation service. Choose the kitchen of your dreams and we’ll fit and install it for you. We’ll scrap that old fashioned, decaying kitchen and replace it with a new modern and fancy kitchen. Why should having a new kitchen just be a dream? When you hire us, it can be an affordable reality. So whenever you are seeking kitchen fitting and installation, we want you to know that we are more than happy to help you. If you would like inexpensive and great quality kitchen cabinet services, here is where we step in. As we offer the best quality kitchen installation services, you can absolutely rely on us if you need a great new kitchen installed by experts. 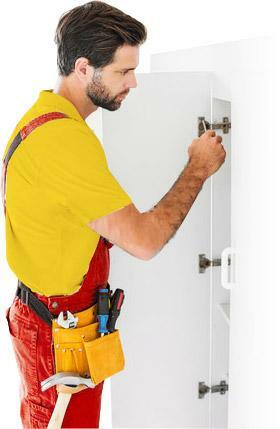 Our handymen are professional and dedicated people with a desire to impress you. Whatever it is you are after, we are confident in the abilities of our members of staff. They have all been trained for years and years to meet the high standards they do today. They will install new kitchen cabinets for you in no time. Do you desire a new kitchen? If the kitchen you have now is old and boring looking, it’s time to upgrade and the best way to do that is to hire us now for installing kitchen units. 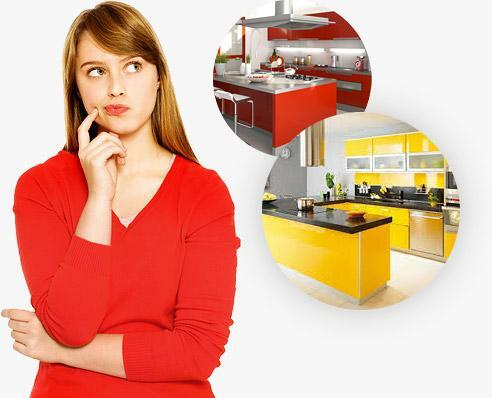 If you have chosen the kitchen of your dreams, you just need professionals to install it for you. Of course, you want honest workers who are hard working and skilled. That’s us! Hire us now if you are desperate for quality services. 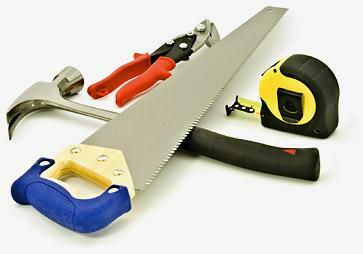 Handyman Handy always impresses clients with its incredible range of quality services. Whether you need us for installing kitchen units or to help repair bits in your kitchen, we are always here to help you and ready for any project you throw our way. Call 020 8434 7477 now if you need expert help. If you require help with your home we will be right there.